Q. Can I put a hold on a library book and pick it up later? Faculty/Staff and Students can place holds on items that are temporarily unavailable (items that are checked out, in processing, etc. ), so that when the item becomes available they will be notified and the item will be held for 48 hours at the Public Service desk for check out. Additionally, Faculty/Staff and Students can place holds on items that are available (i.e. on the shelves) and they will be pulled and held for 48 hours at the Public Service desk for check out. Locate your item and click on the title. In the "Find in Library" area, click on Sign in. 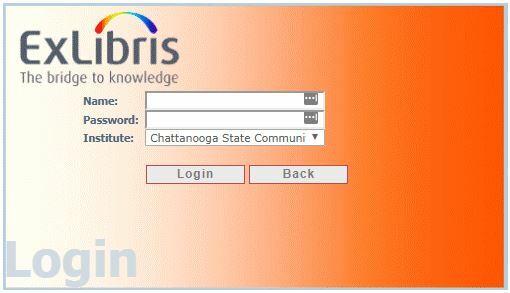 Login with your TigerID and password. Fill in the required information and click the "Request" button at the bottom of the form. You will receive an email notification when the item is available. If items are not picked up within 48 hours, the holds will be removed and the items will be available for the next person on the hold list or re-shelved.